You can sign up right now by visiting Online Registration or you can login into your account if you are are currently a student at GLDA. July 22-26 Pop Star Camp!!!! Want to be a POP STAR?? 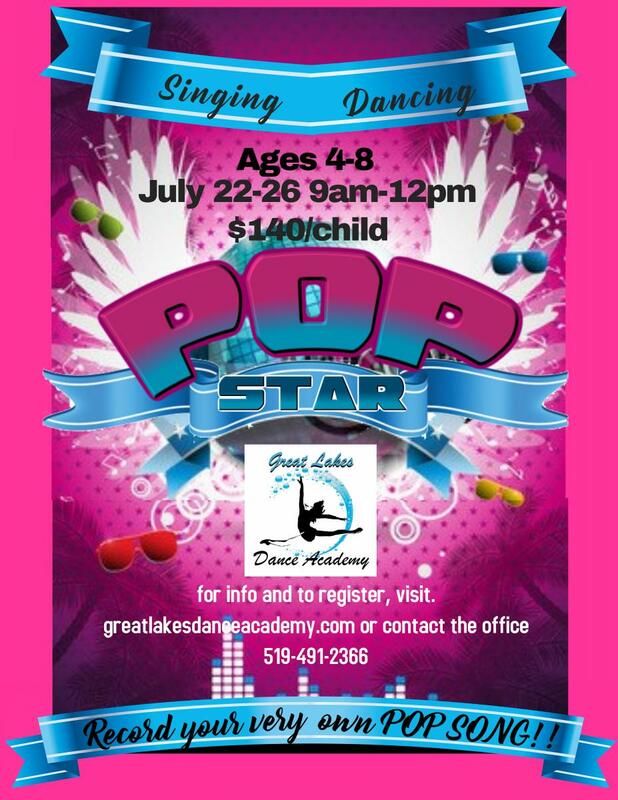 This Dance and Singing camp runs from 9am-12pm daily. Each day of camp will consist of Singing/Learning Songs and Dance classes (Hip Hop/Jazz), fun activities and crafts. INCLUDING, getting to record a POP SONG!! There will be a short performance of what we have learned at 11:30 on the last day of camp. Please send your child in comfortable cool clothes, with a snack (nut free) and water. Please wear sunscreen. Indoor sneakers, and jazz or ballet slippers are required. Students with long hair should have it tied back. August 12-16 A Trip to the Circus. 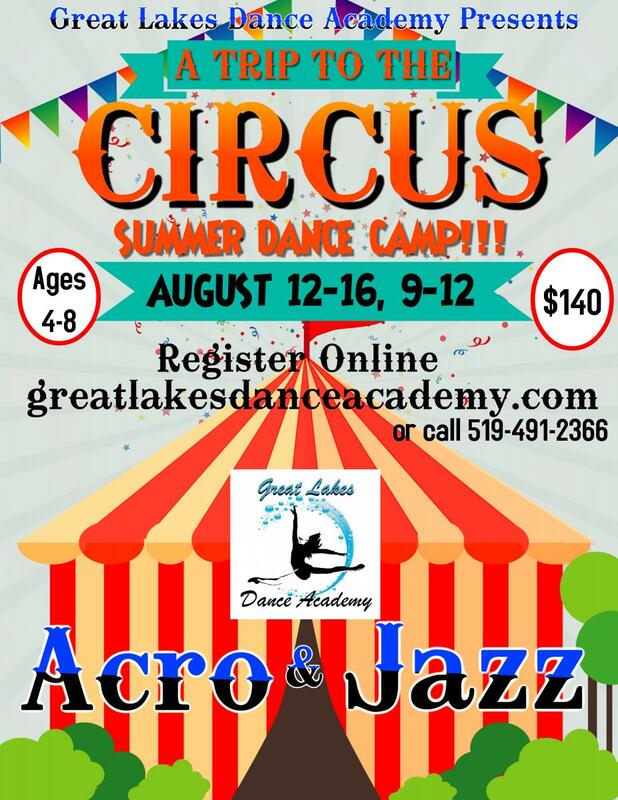 Acro/Jazz/Tumbling Camp!! Register Now! Come with us on a "Trip to the Circus!!" This exciting half day Dance camp will feature Acro, Jazz AND Tumbling. In a circus themed, super fun week! !